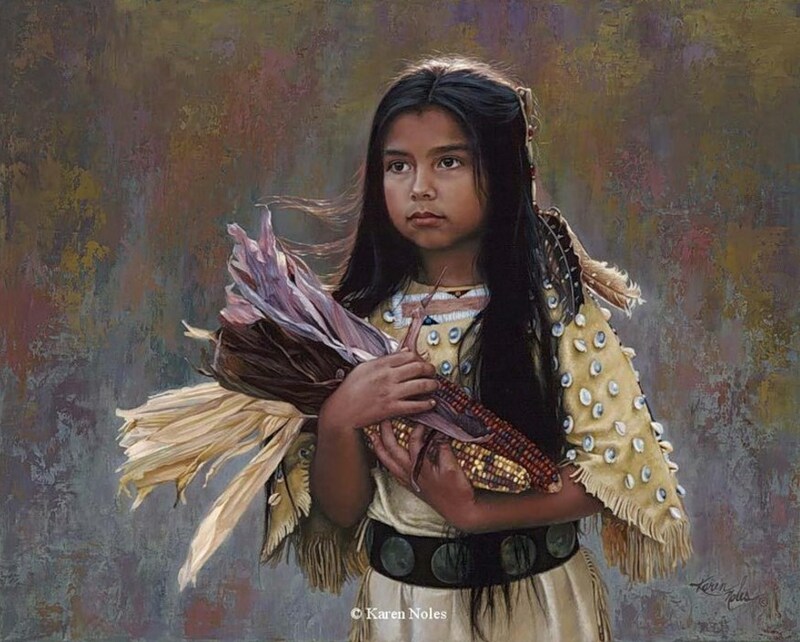 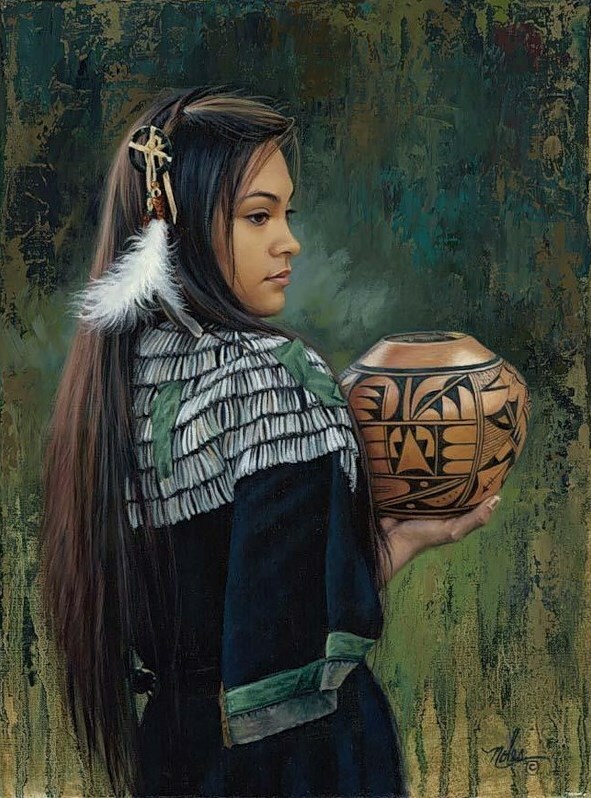 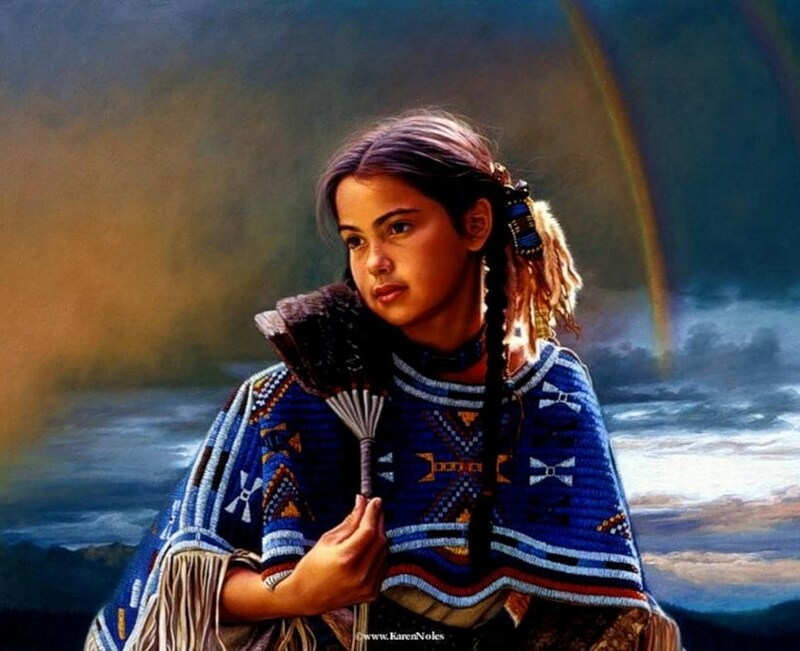 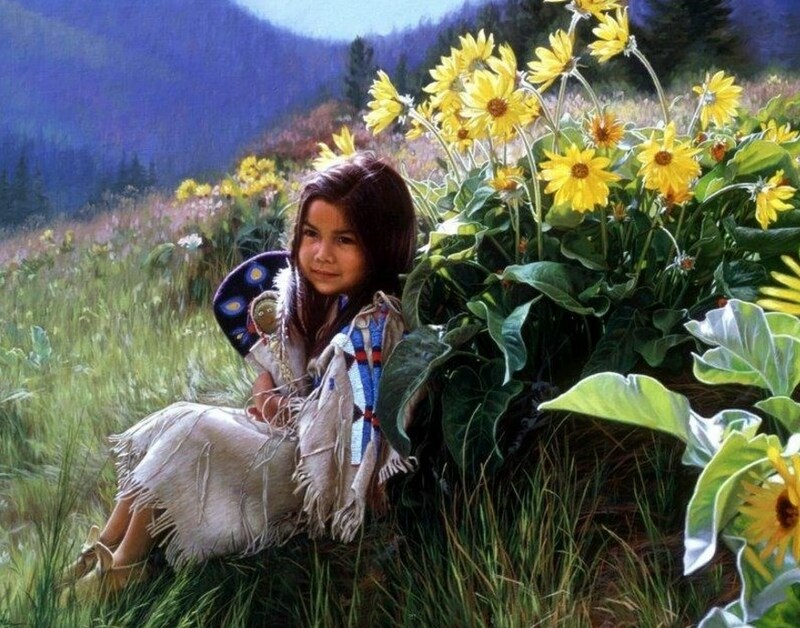 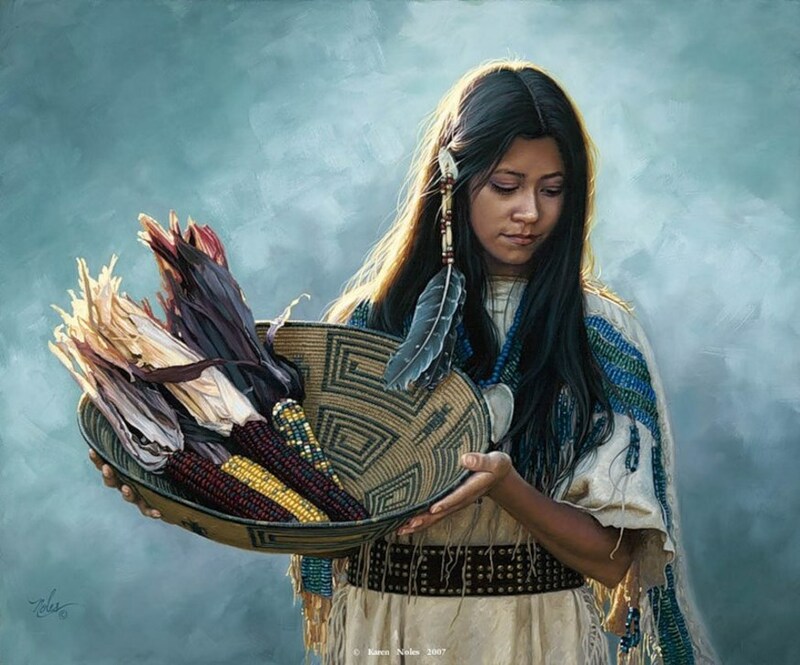 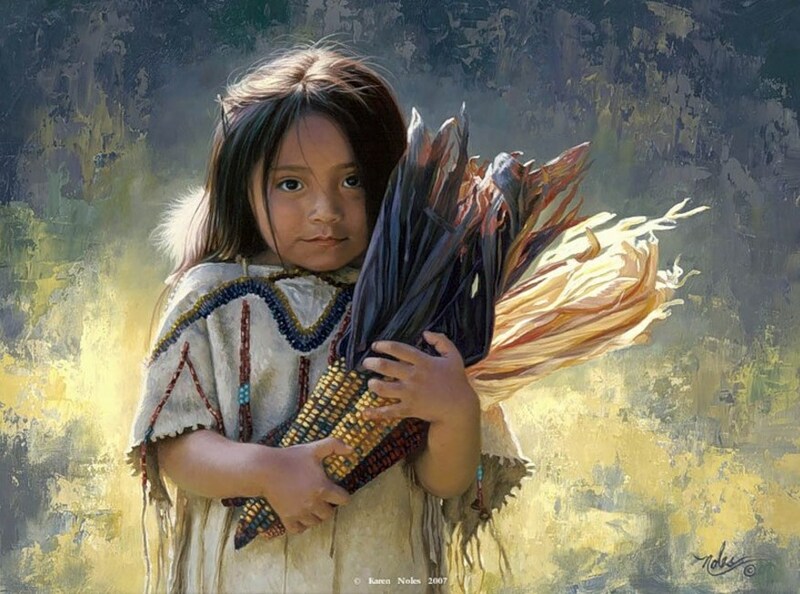 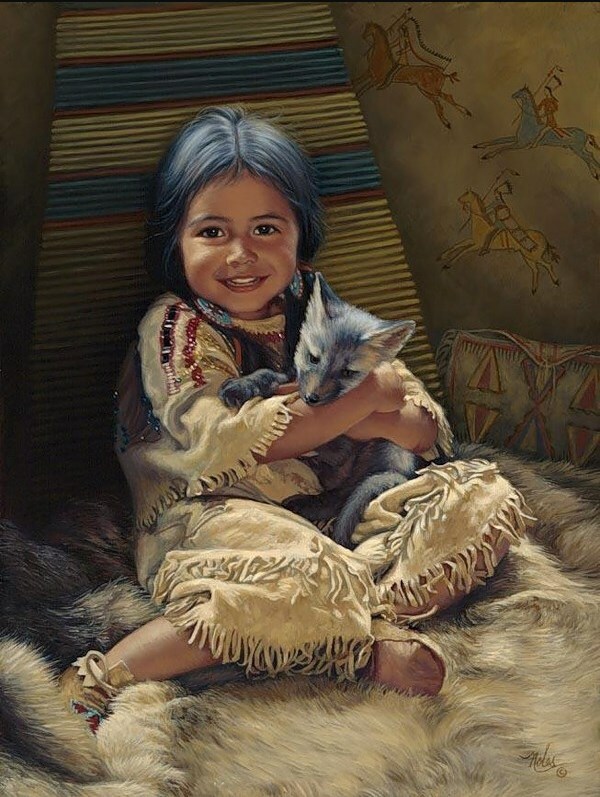 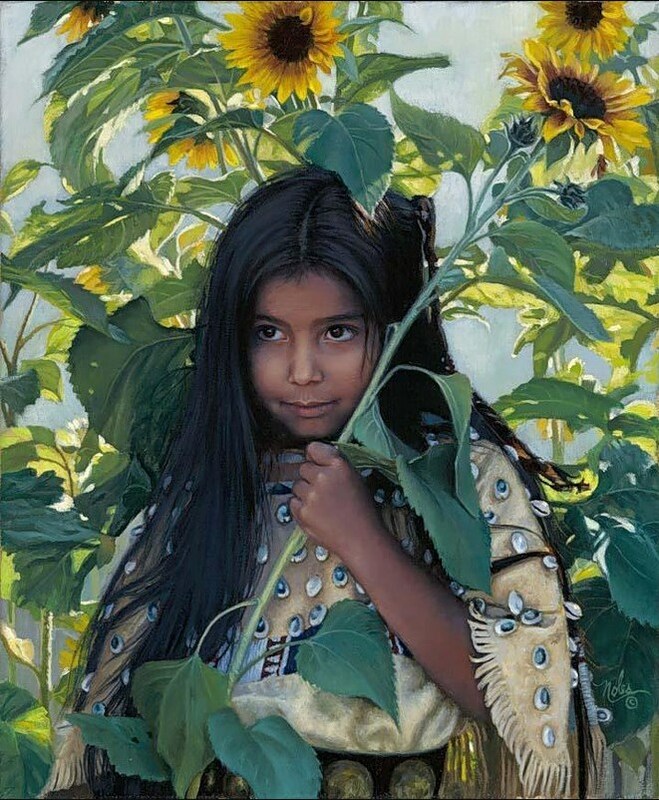 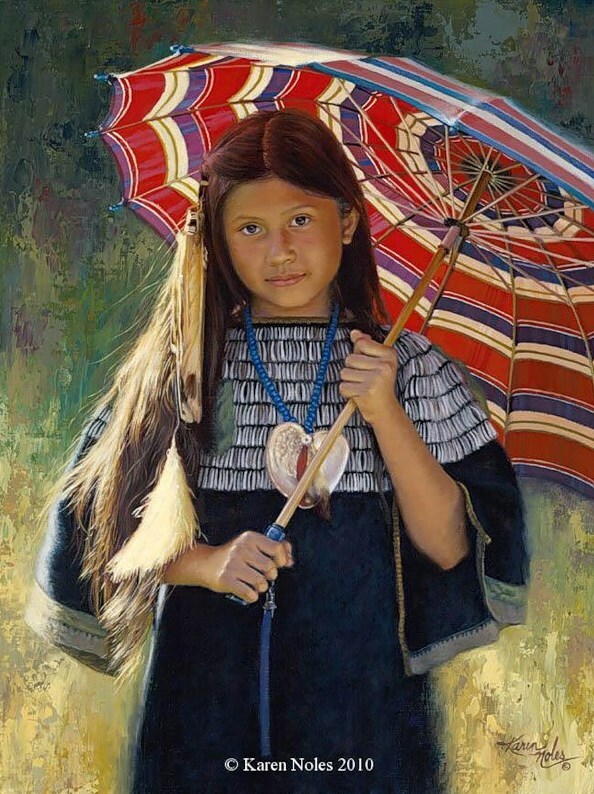 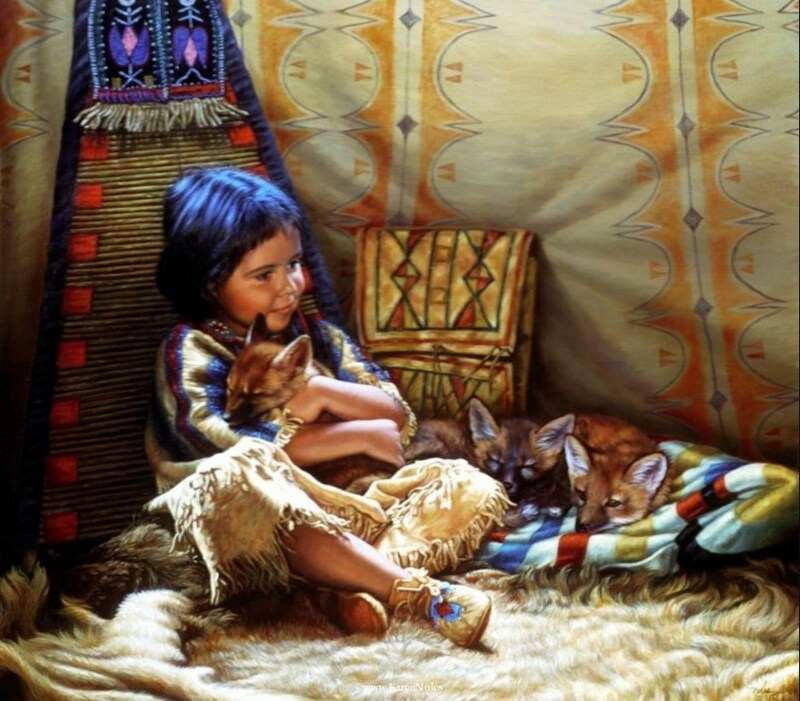 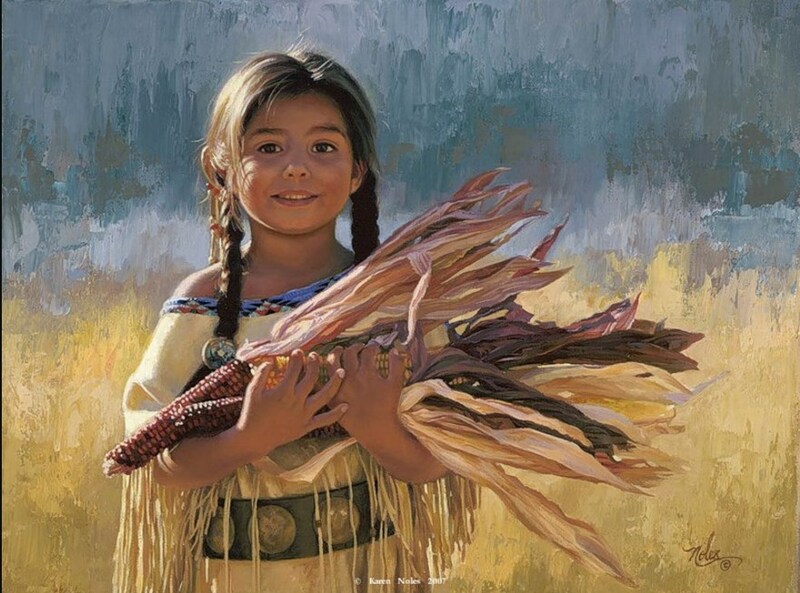 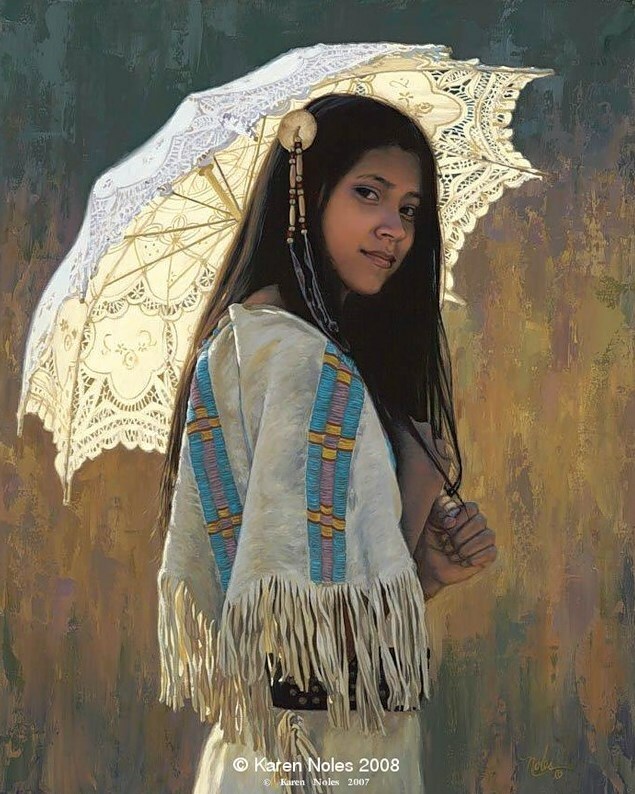 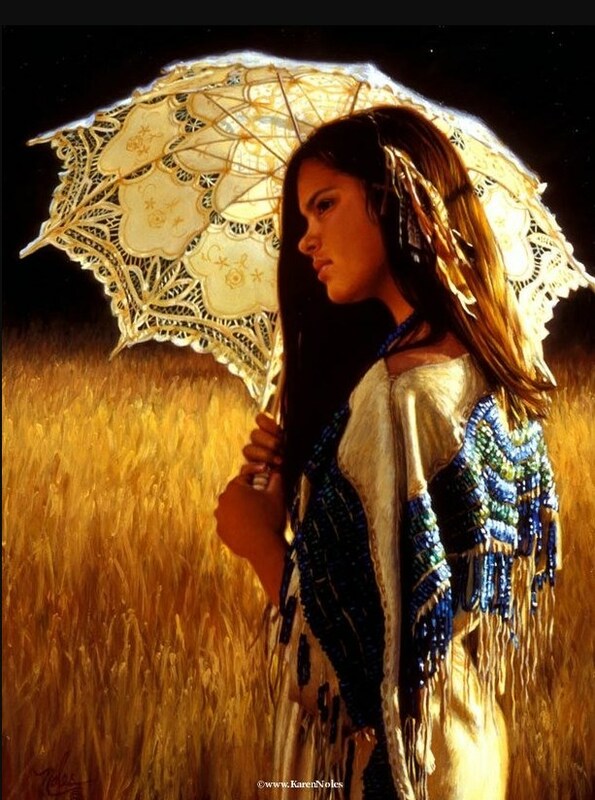 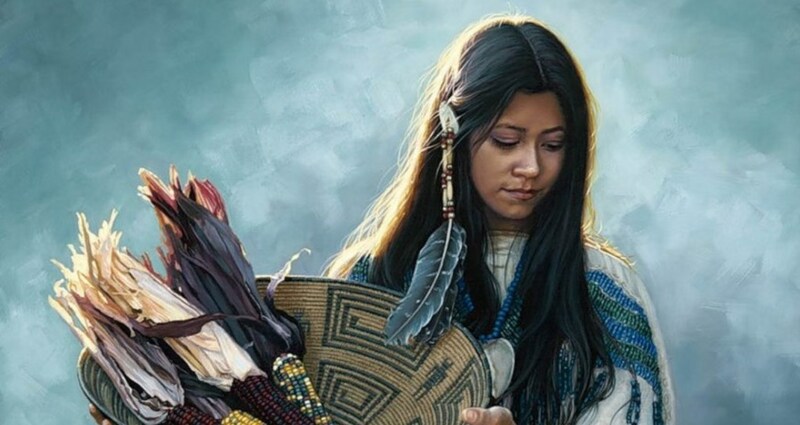 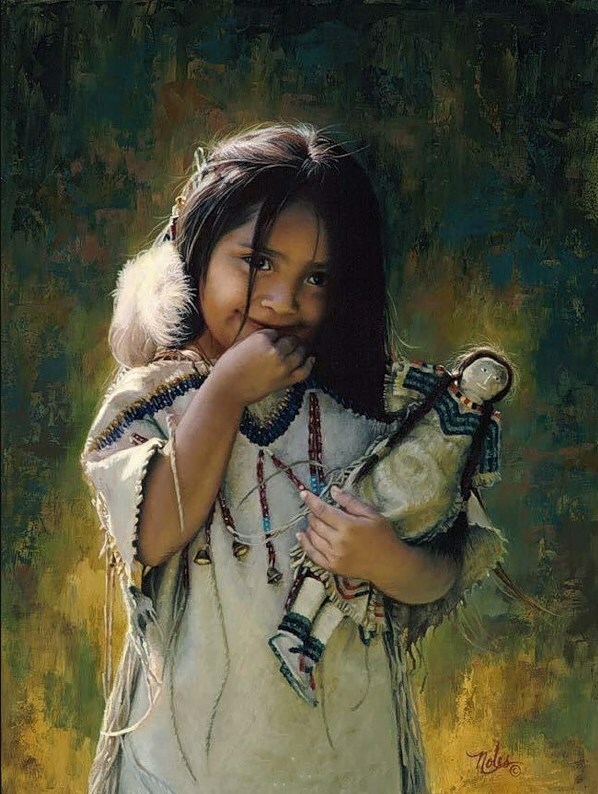 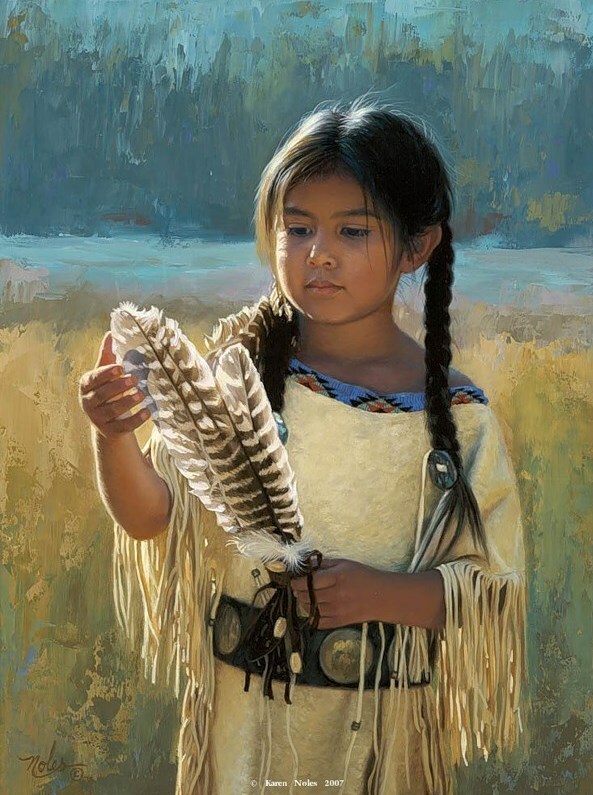 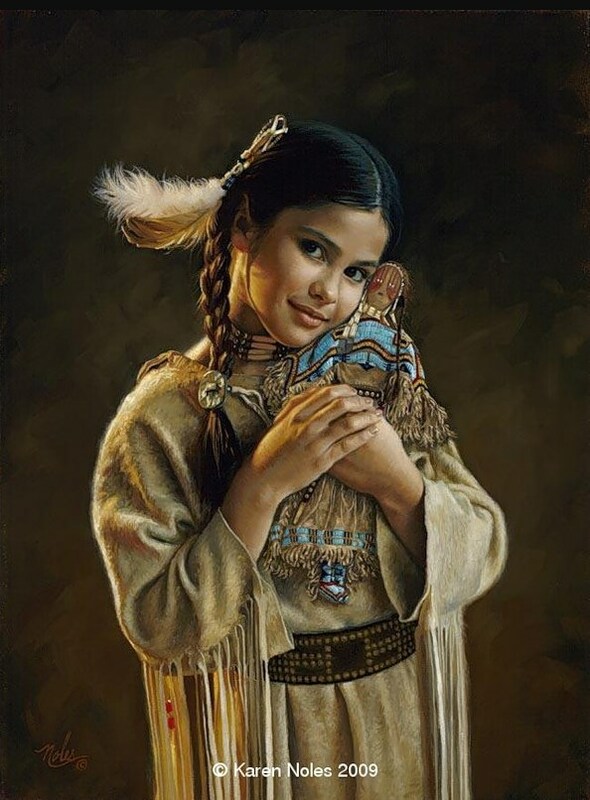 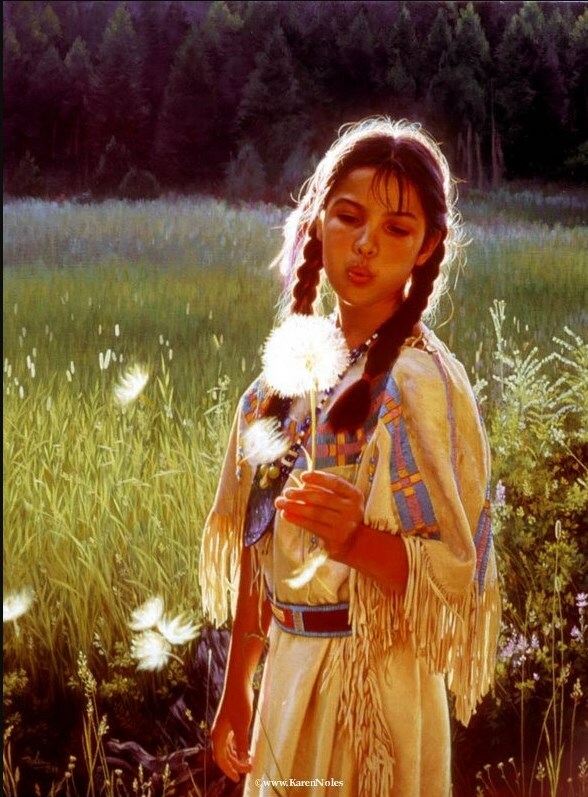 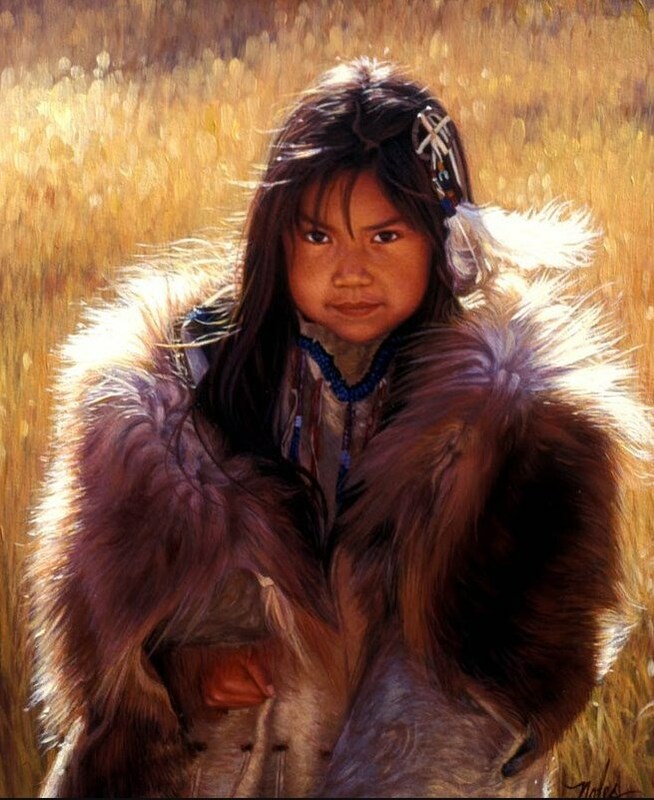 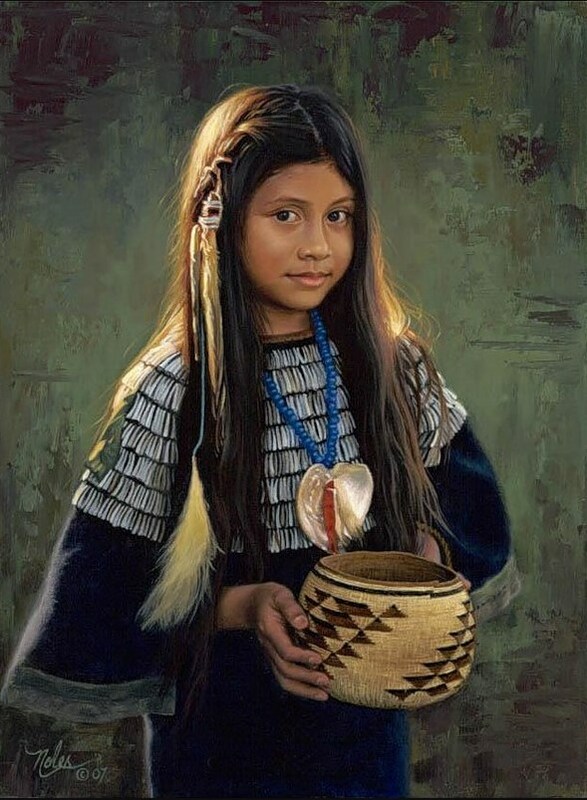 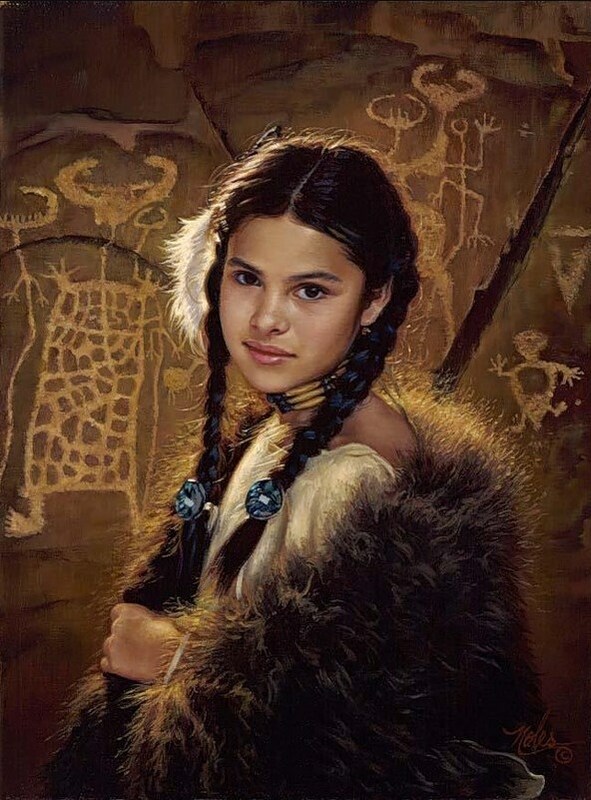 American painter Karen Noles was born in the very small town of Merna, Nebraska in 1947. 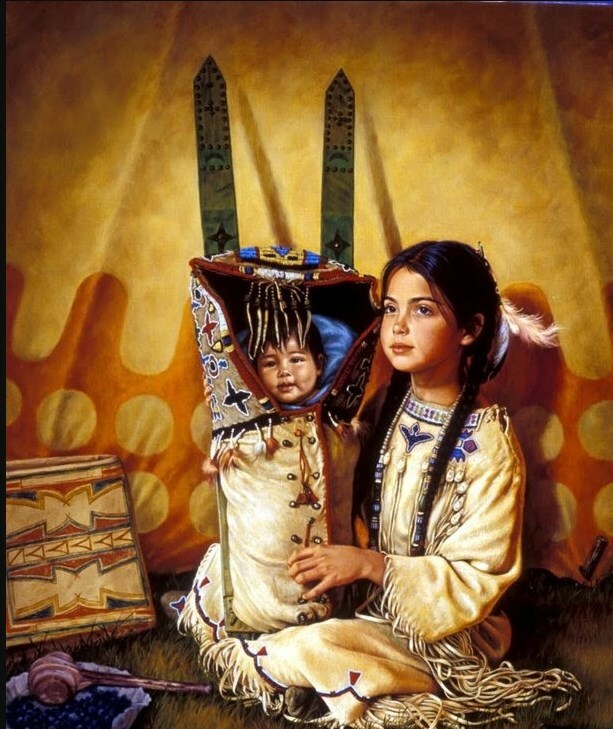 She grew up there but from the time she was a very young girl her artistic ability was noticed and encouraged by her parents. 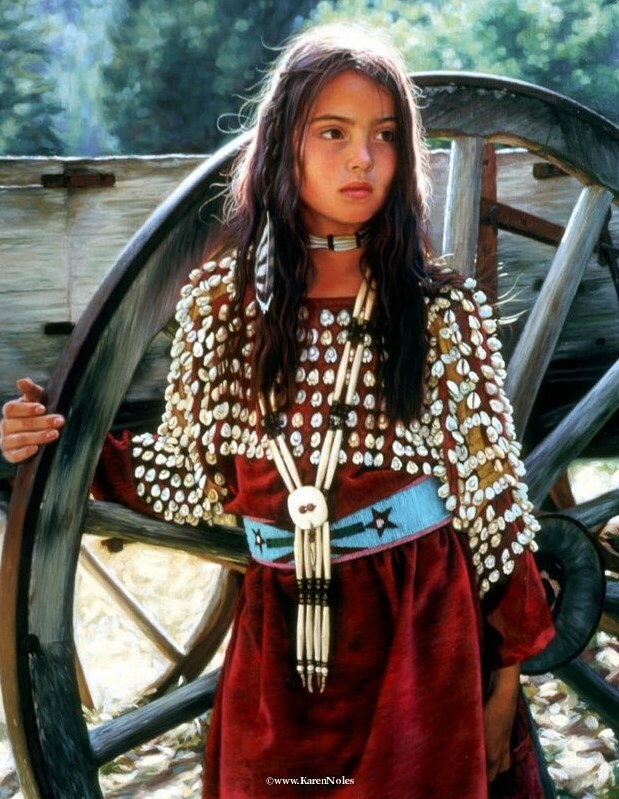 At age 19 she graduated from the Omaha School of Commercial Art. 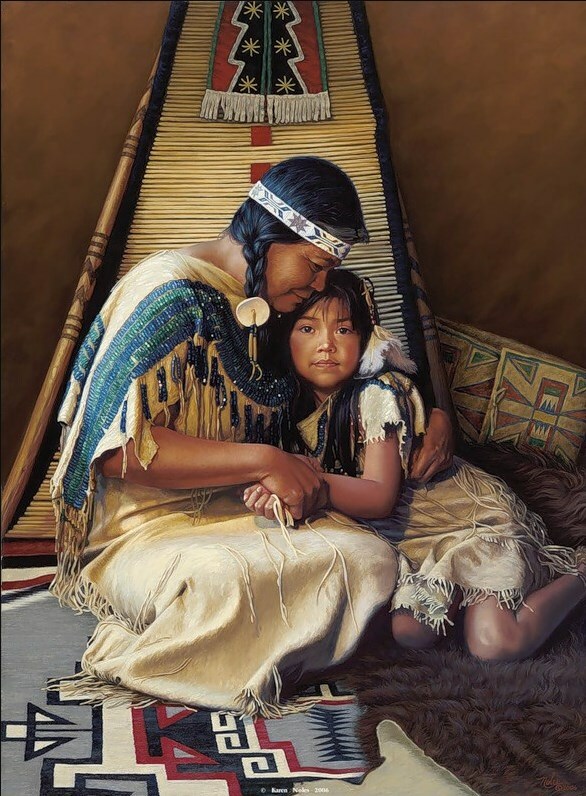 She was quickly hired by the Hallmark Card Company as a greeting card illustrator and she continued to work in illustration for Hallmark and other companies for nearly 20 years. 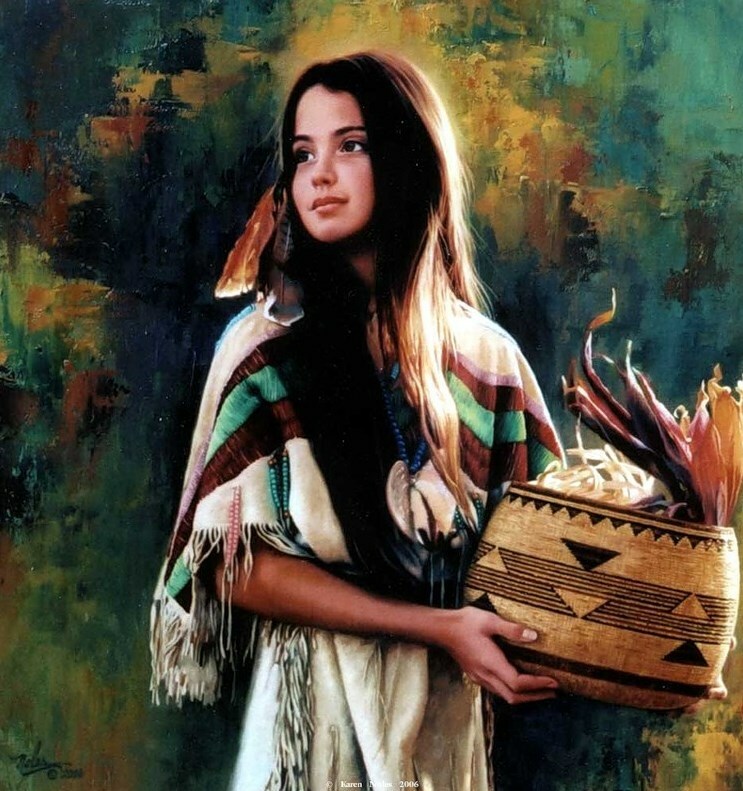 It was after this time however that Karen’s lifework changed dramatically. 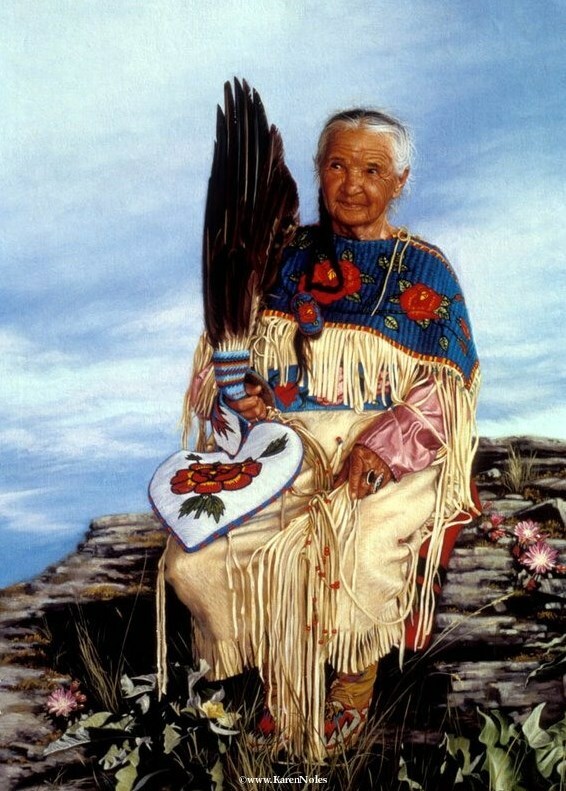 She moved to Northwest Montana and spent the next 35 years living on the Flathead Indian Reservation. 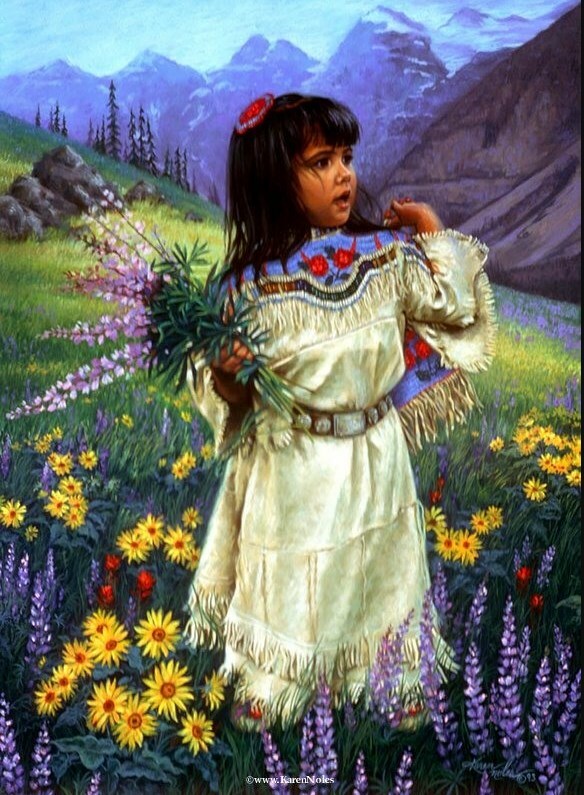 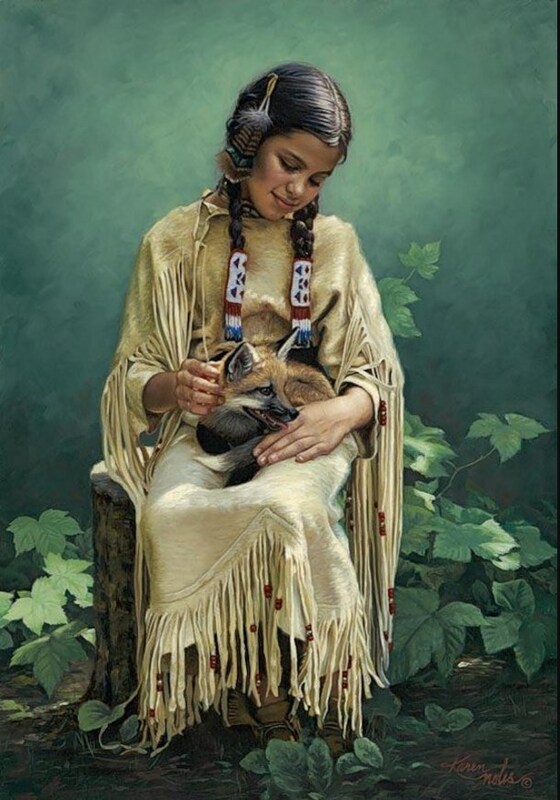 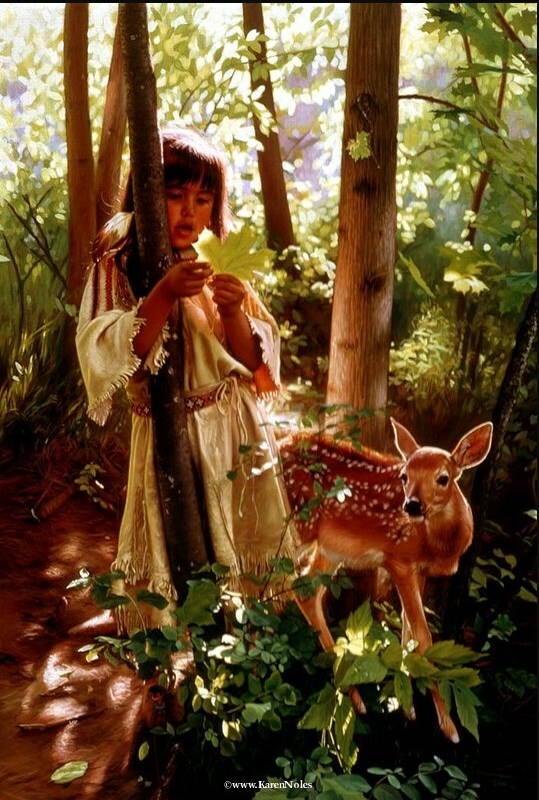 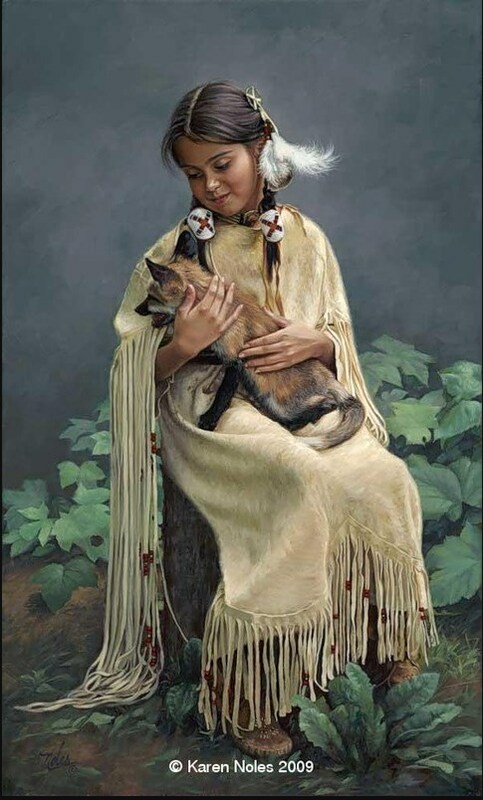 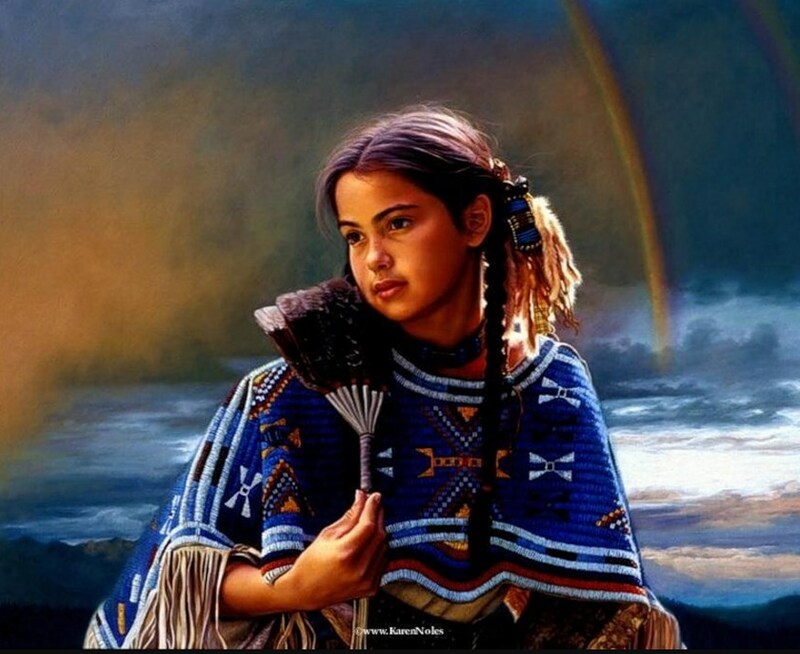 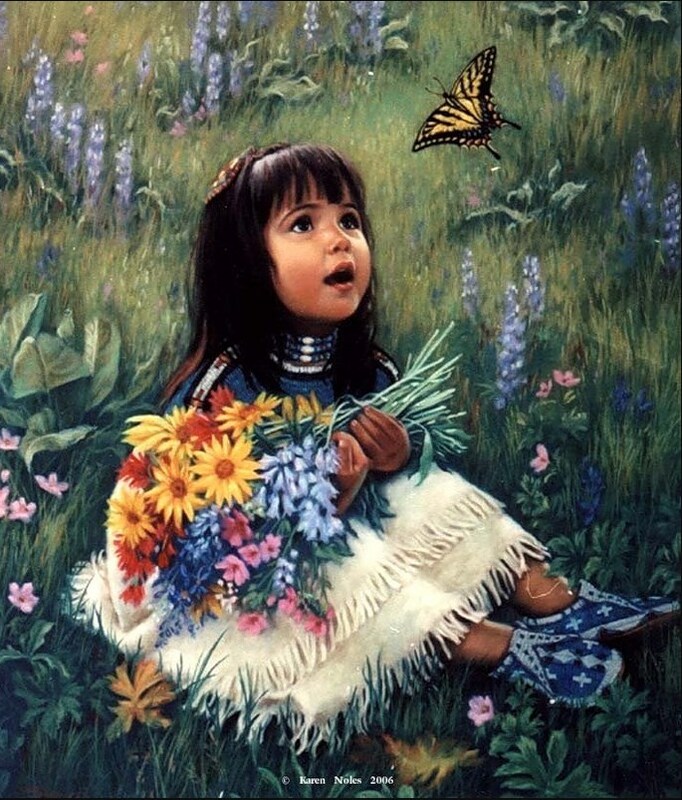 Here she raised her family and painted her renowned specialty of oil paintings of Native Americans, especially the children. 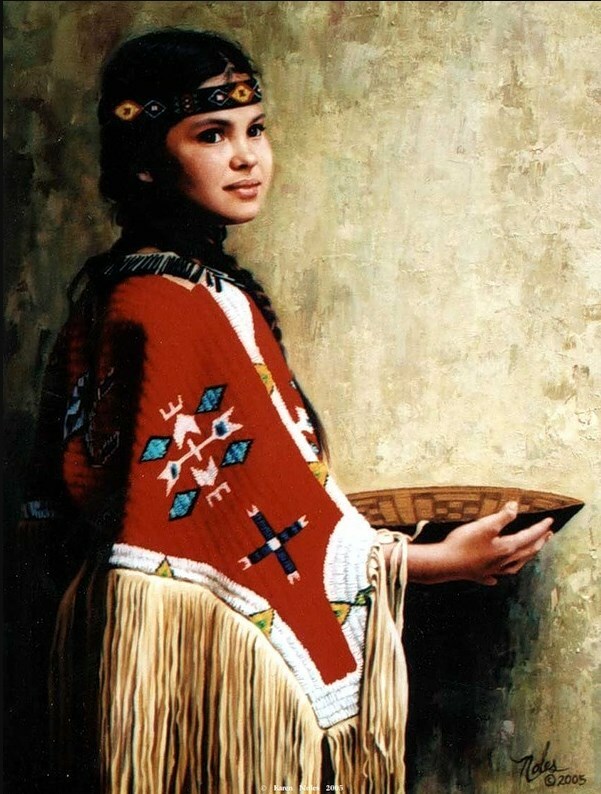 She has painted and paid sensitive detail to the pre- and early reservation Indians. 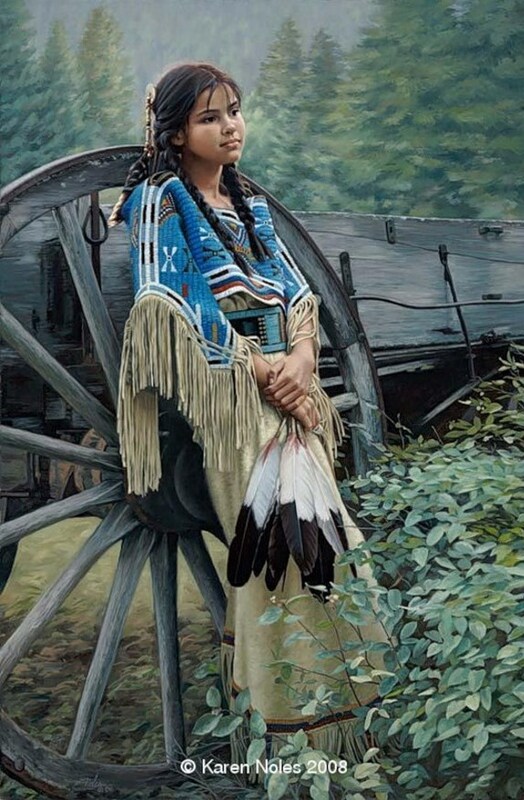 From her work in this she has developed quite a national following. 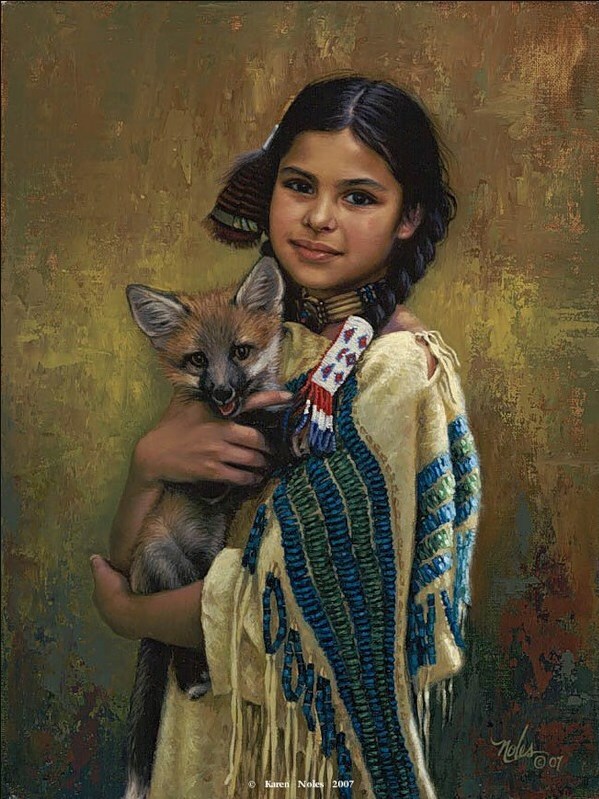 She has shown stunning and meticulous detail with her fine brush work to the Indian`s exquisite and masterful use of bead and quill work. 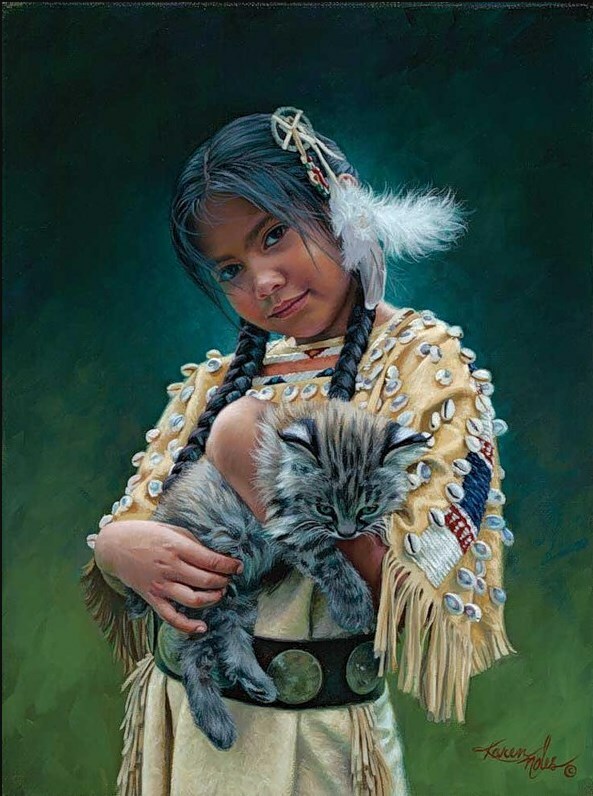 Karen has received six Peoples Choice Awards from several premier Western art exhibitions for her work. 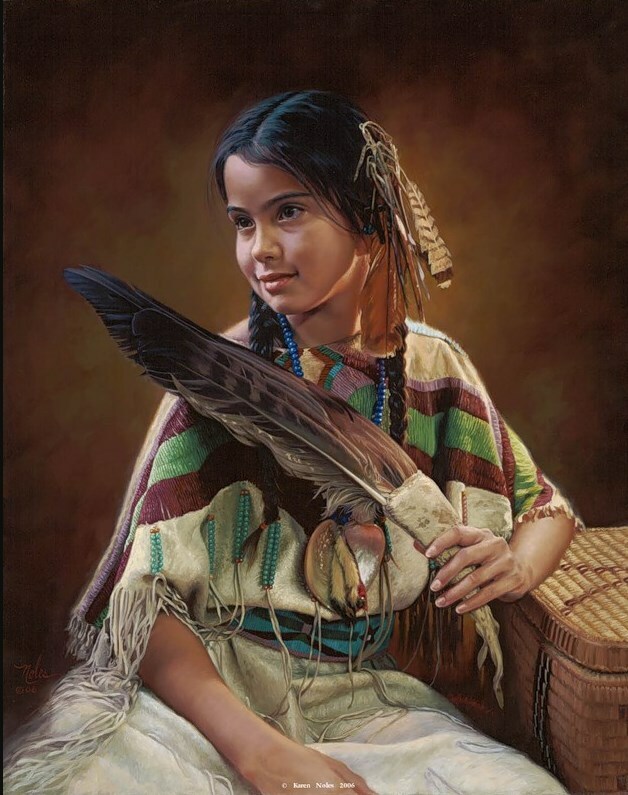 She won the Best Oil/Acrylic Award at the Cheyenne Frontier Days Old West Museum Show. 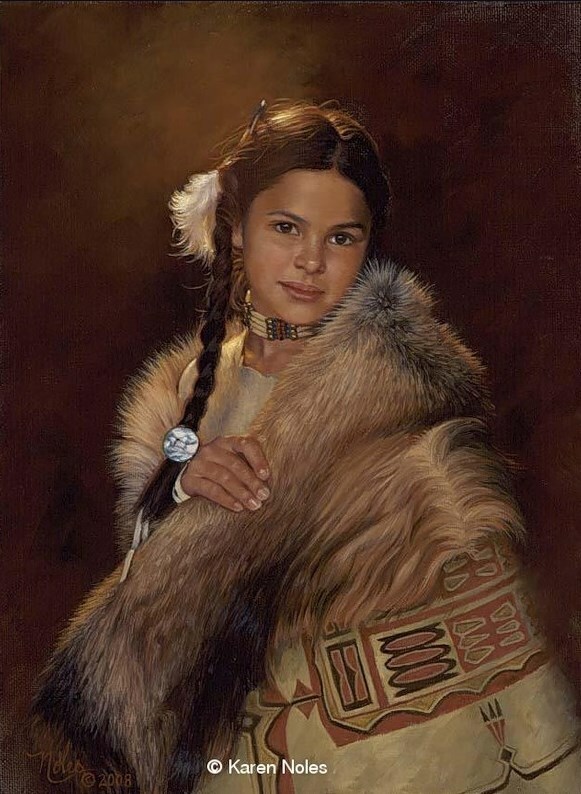 Her art has been featured in many prestigous western art museums including the Eiteljorg Museum. 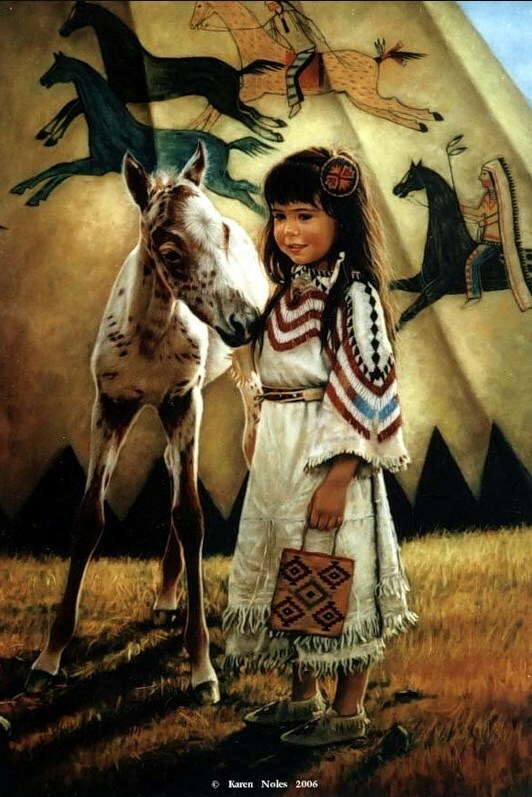 She has been featured in numerous publications including the Art of the West and the Appaloosa Journal. 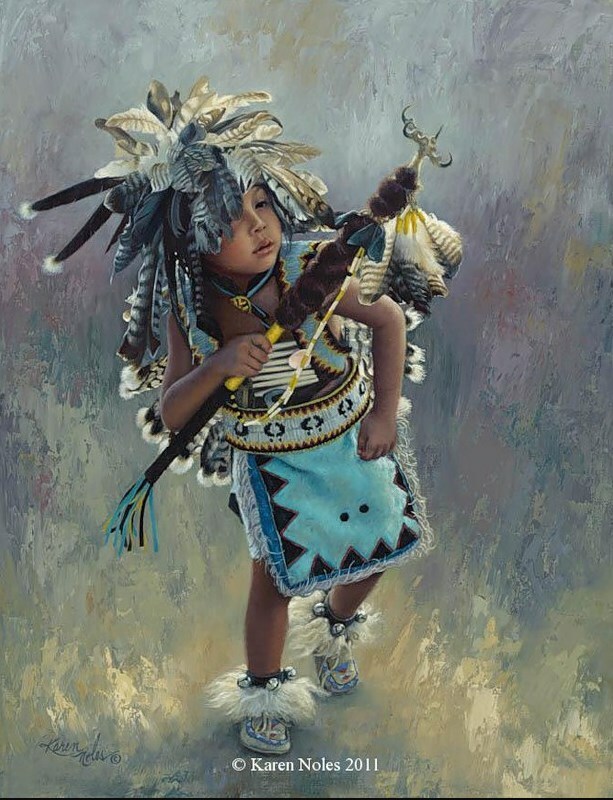 Currently her artwork is being shown in the Settlers West Gallery in Tucson, AZ, the West Lives On Gallery in Jackson, WY, and the Wind River Gallery in Aspen, CO and the Indian River Gallery in Las Vegas, NV to name several galleries. 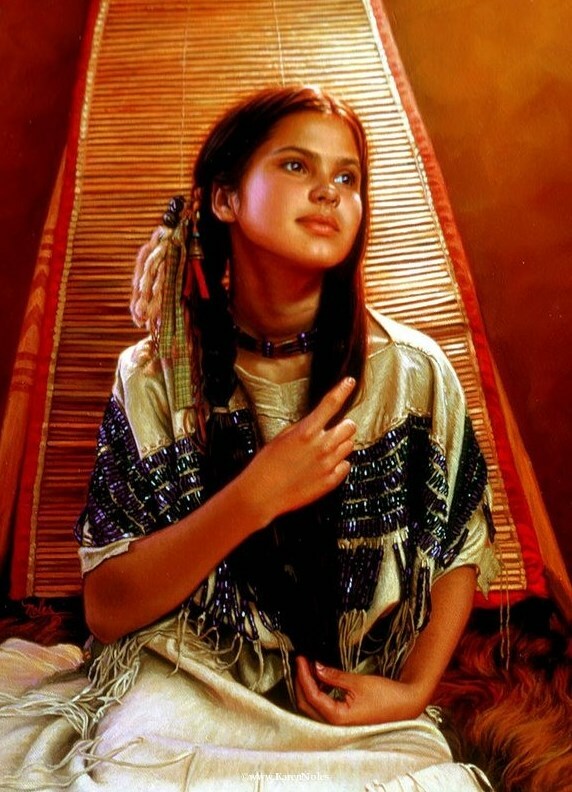 Below are some wonderful examples of her exquisite paintings.